Aleida Assmann studied English Literature and Egyptology at the universities Heidelberg and Tuebingen. Since 1993 she holds the chair of English Literature and Literary Theory at the University of Konstanz, Germany. She taught as a guest professor at various universities (Princeton, Yale, Chicago and Vienna). In 2008 she received an Honorary Degree from the University of Oslo, in 2014 the Heineken Prize for History of the Royal Netherland Academy of Sciences. The Max Planck Research Award (2009) allowed her to establish a research group on memory and history (2009-2015). Her main areas of research are historical anthropology, history of media, history and theory of reading and writing, cultural memory, with special emphasis on Holocaust and trauma. Her publications in English include: Memory in a Global Age. Discourses, Practices and Trajectories (ed. with Sebastian Conrad, 2010), Cultural Memory and Western Civilization: Functions, Media, Archives (2012), Memory and Political Change (ed. with Linda Shortt, 2012), Introduction to Cultural Studies: Topics, Concepts, Issues (2012). I am interested in a theory of cultural memory that investigates the role of emotions and affect in a diachronic, trans-generational dimension. Such an approach focuses especially on the transmission of affect and the recharging or transformation of emotions. In order to open up a new path to the topic of cultural memory and emotions, I want to introduce two concepts, which I would like to probe as critical tools for cultural memory studies. These terms are ‘resonance’ and ‘impact’, which stand in opposition to each other, but can also be considered as complementary. ‘Resonance’ will refer in this context to forms of stimulating and strengthening the affective charge in the process of remembering, while impact will be used to describe a traumatic overdose of affect which destroys the finer patterns of resonance and leads to a disturbance, a distortion and possibly even to a total blocking of memory. Michael Cronin holds a Personal Chair in the Faculty of Humanities and Social Sciences at Dublin City University, Ireland. He is author of Translating Ireland: Translation, Languages and Identity (Cork University Press,1996); Across the Lines: Travel, Language, Translation (Cork University Press, 2000); Translation and Globalization (London, Routledge, 2003). Time Tracks: Scenes from the Irish Everyday (Dublin, New Island, 2003. Reprinted 2003); Irish in the New Century/An Ghaeilge san AoisNua (Dublin, Cois Life, 2005), Translation and Identity (Routledge, 2006); The Barrytown Trilogy (Cork University Press: Ireland into Film series, 2007); Translation goes to the Movies (Routledge 2009), The Expanding World: Towards a Politics of Microspection (Zero Books, 2012) and Translation in the Digital Age (Routledge, 2013). He is co-editor of Tourism in Ireland: A Critical Analysis (Cork University Press, 1993); Nouvellesd’Irlande (Québec, L’Instantmême, 1997); Unity in Diversity? Current Trends in Translation Studies (Manchester, St. Jerome Press, 1998); Reinventing Ireland: Culture, Society and the Global Economy (London, Pluto Press, 2002); Irish Tourism: Image, Culture and Identity (Clevedon, Channel View Publications, 2003); The Languages of Ireland (Dublin, Four Courts Press, 2003) and Transforming Ireland, co-edited with Peadar Kirby and Debbie Ging (Manchester University Press, 2009). His work has been translated into more than fifteen languages. He Is a Member of the Royal Irish Academy and is an Officer in the Ordre des Palmes Académiques. He is an Honorary Member of the Irish Translators and Interpreters Association. He was Irish Language Literature Advisor for Arts Council of Ireland (2009-2011) and is a regular contributor to the Irish-language television Arts programme, Imeall. He is co-editor of The Irish Review and co-editor of the Routledge series New Perspectives in Translation Studies. Food, both historically and in the present, is an area where a number of ecological concerns converge from the sustainability of the mass production of food to the effects of foodstuffs on individual organisms. Food is also a topic that mobilises literary translators from the translation of food names to the rendering of menus in different languages to the centrality of translation in the operation of fast food franchises. In this lecture, we will be examining how literature, economics, politics and language come together in translation issues around the production and consumption of food. The rise in the industrial production of food and the global spread of fast food outlets has bred a relentless demand for the translation of food items into different languages. On the other hand, the emergence of the Slow Food movement in Italy and elsewhere and a call for more ecologically sustainable forms of food production has led to a greater insistence on the importance of locally based food and food traditions. In this lecture, the translational dimension to food ecology will be explored through notions of place and resilience. Just as the ecology movement has stressed the importance of locally produced foodstuffs as a way of drawing on local traditions to prevent long-term damage to the planet, one could argue that a similar commitment to the situatedness of place and the preeminence of context must underline any form of translation practice considered from an ecological perspective and within the purview of cultural literacy. Investing time and energy in language and cultural acquisition and devoting resources to mother tongue maintenance is essential to a properly complex engagement with place whether that be a small rural community or a vast, urban metropolis. Cultivating polyglossia and intercultural competencies are central to a translational ecology of place. As is attested by the numbers of literary translators’ posts dealing with the translation of menus and food items, incommensurability leads to more translation, not less. The more language resists translation, the more it invites translation. The idea will be advanced that the ability of language to survive and flourish over time and adapt to a multiplicity of pressures – the principle of resilience – lies in the endless unveiling of the incommensurable in language which calls for new translations, new accommodations. The arrival of new communities, new languages, new foods, generate precisely those kinds of pressures which release the creative potential of the incommensurable. Lars Elleström is professor of Comparative Literature at Linnæus University, Sweden. He organizes the Forum for Intermedial Studies, Linnæus University, and chairs the board of the International Society for Intermedial Studies. Elleström has written and edited several books, including Divine Madness: On Interpreting Literature, Music, and the Visual Arts Ironically (Bucknell University Press, 2002), Media Borders, Multimodality and Intermediality (Palgrave Macmillan, 2010) and Media Transformation: The Transfer of Media Characteristics Among Media (Palgrave Macmillan, 2014). He has also published numerous articles on poetry, intermediality, semiotics, gender and irony. Elleström’s recent publications, starting with the article “The Modalities of Media: A Model for Understanding Intermedial Relations”, have explored and developed basic semiotic, multimodal and intermedial concepts aiming at a theoretical model for understanding and analysing interrelations among dissimilar media. Intermedial studies focus on interrelations among dissimilar media products and media types. In order to understand and conceptualize these interrelations, the notion of medium must be methodically scrutinized. In earlier studies, I have suggested various ways of construing the basic features of media. Building on these ideas, I will broaden the perspective in this talk to communication at large. On the basis of a critique of communication models that put notions such as ‘message’ in the centre, I will delineate a new model of communication that places mediality at the core of communication. In this model, medium is used as a term for the intermediate entity that connects two minds with each other; this entity is always in some way material (related to bodies or non-bodily matter), although it cannot be conceptualized only in terms of materiality. In brief, then, the skeleton of the model consists of three entities: producer’s mind – media product – perceiver’s mind. With the aid of this model, I will furthermore comment on some of the core issues of the conference Cultural Literacy in Europe: cultural artefacts, text and textuality, intercultural translation, digital media, and the human body in relation to emerging technologies. The UK Foreign Secretary appointed Sir David King as his new permanent Special Representative for Climate Change in September 2013. Sir David was previously the Government’s Chief Scientific Advisor from 2000 – 2007, during which time he raised awareness of the need for governments to act on climate change and was instrumental in creating the Energy Technologies Institute. He also served as the Founding Director of the Smith School of Enterprise and Environment at Oxford; was Head of the Department of Chemistry at Cambridge University 1993-2000 and Master of Downing College at Cambridge 1995 -2000. Sir David has published over 500 papers on science and policy, for which he has received numerous awards, and holds 22 Honorary Degrees from universities around the world. 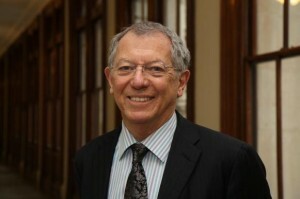 Elected a Fellow of the Royal Society in 1991, a Foreign Fellow of the American Academy of Arts and Sciences in 2002 and knighted in 2003, Sir David was also made an Officier of the French Legion d’Honneur’ in 2009, for work which has contributed to responding to the climate and energy challenge. The industrial revolution and the rise of capitalism has led to the widespread treatment of humanity as being distinct from the natural world. This has transpired despite the remarkable efforts of the Romantic poets and the Arts and Crafts movement in the nineteenth century. Science could have led to a coalition with the Romantics: since Darwin we have known that we co-evolved with the ecosystems of the planet, and that we are co-dependent on the services that they provide. By distinguishing ourselves from the rest of the ‘natural ‘ world, and hence undervaluing it, we are now in the process of destroying those systems that we depend on for our survival. I will discuss the behavioural, economic and intellectual drivers in 21st-century society that may lead to a restoration of ecosystem harmony to our globalized consumer-driven world economy. Alexandre Tiedtke Quintanilha was born and completed high school in Lourenço Marques (Maputo) Mozambique. He read physics/mathematics at Witwatersrand University in Johannesburg, completing his PhD. in Theoretical Physics in 1972. The next two decades in California at U.C. Berkeley and the Lawrence Berkeley National Laboratory as professor of cell physiology and director of a Center for Environmental Studies. He moved to the University of Porto as professor of biophysics at the Biomedical Faculty (ICBAS) and was, until 2010, director of both the Institute of Molecular and Cell Biology and the Institute of Biomedical Engineering. He then chaired the committee responsible for implementing a newly formed consortium of the three major biomedical research institutions in Porto. He is a member of several international Academies, and over the years has chaired various committees at the ESF, the EC (Chair of Advisory Committee for Marie Curie Actions, Chair of ELSA and member of EURAB), the OECD and other national and international research organizations. He currently chairs the Council of Associate Laboratories (CLA) of the Ministry of Science, is President of the Ethics Committee for Clinical Research in Portugal and is a member of the National Council for Science and Technology. He recently joined the newly established President’s Science and Technology Advisory Council of the European Commission. He has published well over 130 peer-reviewed scientific articles and six books and has always been involved in science policy. His current interests are in the areas of biological stress, risk perception and public understanding of science. Keynote – Inclusive knowledge… how? A great deal of discussion has taken place on how to develop an informed, sustainable and inclusive knowledge society (see for example this document). How we understand and communicate risk seems to play a key role in determining what kind of a society we want to be part of, or wish to build. Fortunately, all fields of knowledge contribute to our understanding of ourselves and the world we live in. Whether through enchantment or revulsion, the challenges that fascinate us are molded by our individual and collective histories. Cognitive enhancement will be used as an example. Maureen Freely was born in the US but grew up in Turkey, where her family still lives. She was educated at Radcliffe College and has spent most of her adult life in England. A professor at the University of Warwick, she is currently the President of English PEN. She has translated or co-translated a number of Turkish memoirs, classics, and rising stars but is perhaps best known for her translations of five books by the Turkish novelist and Nobel Laureate, Orhan Pamuk, and for her campaigning journalism after he and many other writers, scholars and activists were prosecuted for insulting Turkishness or the memory of Ataturk. Her sixth novel, Enlightenment (2007), covers some of the same ground. Her seventh, Sailing through Byzantium, takes place in Istanbul during the Cuban Missile Crisis and was named one of the best novels of 2013 in the (London) Sunday Times. 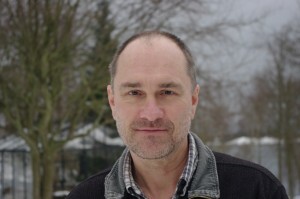 Philippe Keraudren holds a PhD in political science and a ‘Habilitation à diriger des recherches’ in political science from the Institute of Political Studies in Paris. He specialised in the area of public sector innovation, notably at the European Institute of Public Administration in Maastricht, before joining the Commission at DG SANCO, working on consumer protection in services of general interest. He then occupied several posts in DG RTD and is now acting Head of Unit at DG RTD in Unit B6 (‘Reflective Societies’) where he supervises the integration of social sciences and the humanities [SSH] across Horizon2020, the international dimension of SSH as well as the impact of the SSH European programme on science, society and policies. 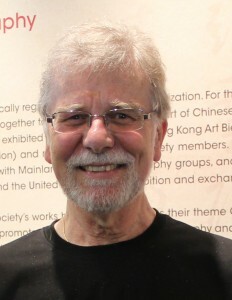 Svend Erik Larsen, dr.phil., is Professor Emeritus of Comparative Literature, Aarhus University. Research Director of the Humanities Research Center: Man & Nature (1992-1997). Honorary Professor, University College London. Board member of the Danish National Research Foundation. Member of the Board of Trustees of the Academia Europaea, Class Chair of Arts and Letters and Section Chair of Literary and Theatrical Studies in the Academia Europaea. Co-editor of Orbis Litterarum. External reviewer for several European funding bodies, ERC included, and external evaluator in a number of European national assessments of research organization and grant distribution. Publications on literary and cultural history, history of ideas, semiotics, memory studies, world literature. Among the authored books: Sémiologie littéraire (1984), Signs in Use (2002, with J.D. Johansen), I byen med Balzac (2002), Tekster uden grænser. Litteratur og globalisering (2007), litteraturDK (2009). Among the edited volumes: Communication et sujet (1980), A l’occasion d’un centenaire: Actualité de Brøndal (1987), Gärten und Parks (1997), La rue – espace ouvert (1997), Nature: Literature and its otherness/La literature et son autre (1997), Balzac (2000), Romanticism and Memory (2014). 300+ articles in national and international journals and volumes. Current book project: Forgiveness as a cultural and literary challenge. Wolfgang Mackiewicz is Honorary Professor of English Philology at Freie Universität Berlin. 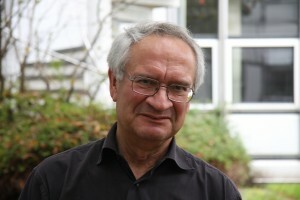 Until September 2011, he was director of the Language Centre of Freie Universität. From 1997 to 2013 he was president of the Conseil européen pour les langues / European Language Council (CEL/ELC). Wolfgang was chair of the SIGMA Scientific Committee on Languages (1994-5), and went on to co-ordinate a total of nine EU network and development projects. 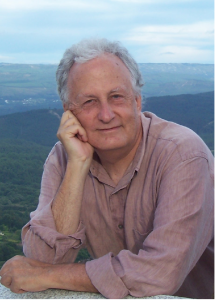 He was chair of the Advisory Board of the FP6 DYLAN project, and is consultant to the FP7 MIME project. He was rapporteur of the European Commission’s High Level Group on Multilingualism (2006-7). He chaired the expert groups on the Humanities in FP7 (2006-7), and on Assessment of University-Based Research (2008-9), launched by the European Commission’s Directorate-General for Research, and he was a member and later the chair of the Expert Advisory Group on Socio-economic Sciences and Humanities in FP7. He is currently a member of the Expert Advisory Groups on ‘H2020 Societal Challenge 6’ and ‘Science with and for Society’ (SWAFS). Wolfgang holds three honorary doctorates (Universitatea Babeș-Bolyai; Université Charles de Gaulle – Lille 3; Vrije Universiteit Brussel). He was awarded the Order of Merit by the President of the Federal Republic of Germany. Dr. Rossella Magli is Science Officer at European Cooperation in Science and Technology (COST), in charge of the portfolio of COST Actions in Social Sciences and Humanities. 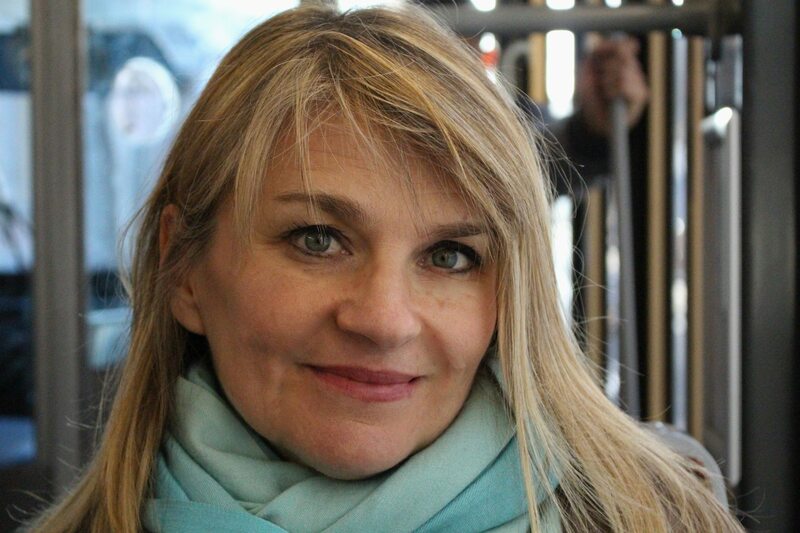 Prior to joining COST, she has been Project and Policy Officer at the European Commission in the Experimental School Environment Programme and in the Networked Media Systems Unit at DG CONNECT. Between 1987 and 2009, Rossella has worked as a researcher at several research institutes in Italy and France, and universities in Belgium (Université de Liège), Spain (Universidad de Barcelona) and Denmark (Odense University), as well as in the US, at the University of Pennsylvania. Between 2002 and 2009 she was co-founder and CEO of CampoRosso, a small research company based in Belgium. Her research has focused on the social appropriation of information and communication technologies in educational settings, on the qualitative analysis of the social impact of technologies through ethnographic methods, on the innovation of educational systems, on the co-design of new technology interfaces and educational scenarios in schools, and on digital literacy. She was also advisor to the EU Commission – Directorate General Education and Culture, in the negotiation process of educational policies, in the framework of the “Lisbon process”. Rossella has a degree in Law from the University of Bologna, a Diploma in International Relations from Johns Hopkins University and a “DEA” (Diplôme d’Etudes Approfondis) in Communication, Technologies and Power from Sorbonne University in Paris, with a specialization in Anthropology of Communication. Ms Angela Schindler-Daniels (MA) is the German National Contact Point for Socio-Economic Sciences and Humanities (SSH) and since 2008 she has been the coordinator of NET4SOCIETY, the network of National Contact Points for SSH/Societal Change 6. Ms Schindler-Daniels has longstanding experience working not only as the SSH NCP but also as the programme coordinator and as national expert for the FP 7 SSH programme committee. She was a member of the HERA ERA-Net and was active in the Quality Management Board of the EU Health Network. She commands a vast knowledge of all facets of NCP work and the challenges involved. Angela’s work has always been in an international context. 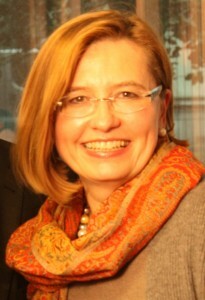 Before she joined the Project Management Agency within the German Aerospace Centre, which hosts numerous German NCPs, she worked in the International Bureau of the Federal Ministry of Education and Research as the USA desk officer, and was senior economic and global affairs specialist with the U.S. Embassy in Bonn for Economic and Global Affairs. She holds a master’s degree in Political Science, American Literature and Business. 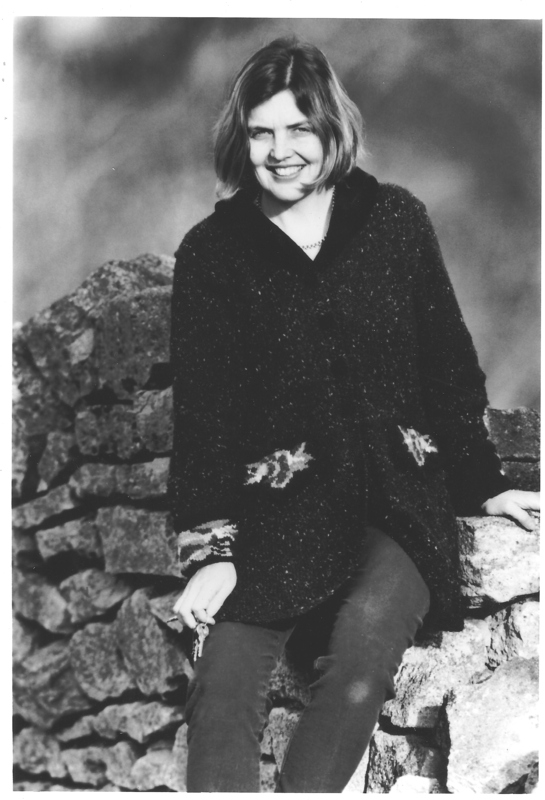 Milena Žic Fuchs studied English language and literature, and Ethnology at the University of Zagreb where she received her PhD in Linguistics (Cognitive Linguistics) in 1989. Since 1978 she has been teaching Linguistics in the English Department of the University of Zagreb, and at present holds a position of Full Professor. She teaches Semantics and Cognitive Linguistics as well as seminars in semantics, discourse analysis and sociolinguistics. To date she has published over 30 articles in international and Croatian journals, covering research topics in semantics, discourse analysis, cognitive linguistics and the influence of communication technologies on language, and she has authored three books: Knowledge of Language and Knowledge of the World (1991), a dictionary of acronyms (20,000 items) and Cognitive Linguistics and Language Structures: the English Present Perfect (2009), for which she received the National Award for Science in 2011. In 2010 she was elected Full Member of the Croatian Academy of Sciences and Arts. In 2013 she was elected member of Academia Europaea, and since 2014 has been Chair of the ERC Advanced Grant Panel SH4 ‘The Human Mind and Its Complexity’. She is a member of numerous advisory bodies, including at the European level, and acts as an expert for the European Commission. 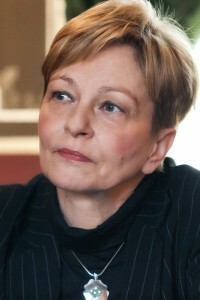 In 2005 Milena Žic Fuchs became a member of the Standing Committee for the Humanities of the European Science Foundation, which she chaired from 2009 until 2012. 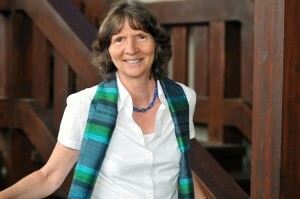 Since November 2012 she has been Chair of the SCH successor, the Scientific Review Group for the Humanities.